OK, so Punxsutawawney Phil saw his shadow this week and predicted 6 more weeks of winter. And, so far his prediction seems to be accurate. It's snowing almost everywhere in the United States tonight. It's just about this time of year that I really start longing for spring. 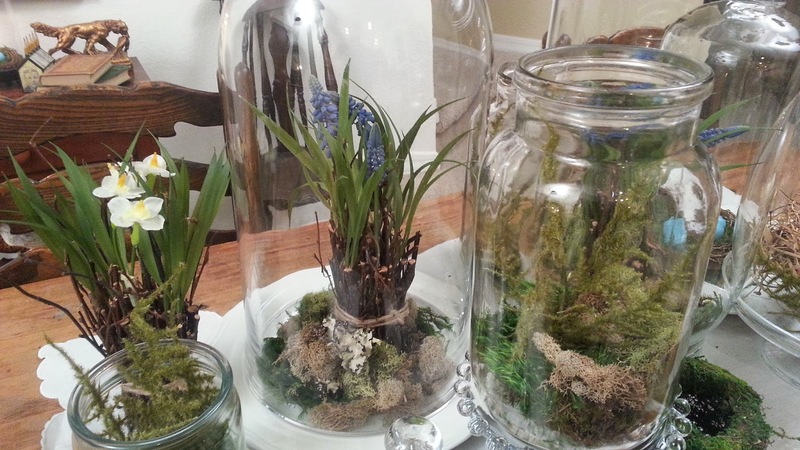 So, to help with the winter doldrums, I thought it would be cool to create a little spring indoors by creating some spring table top terrariums. 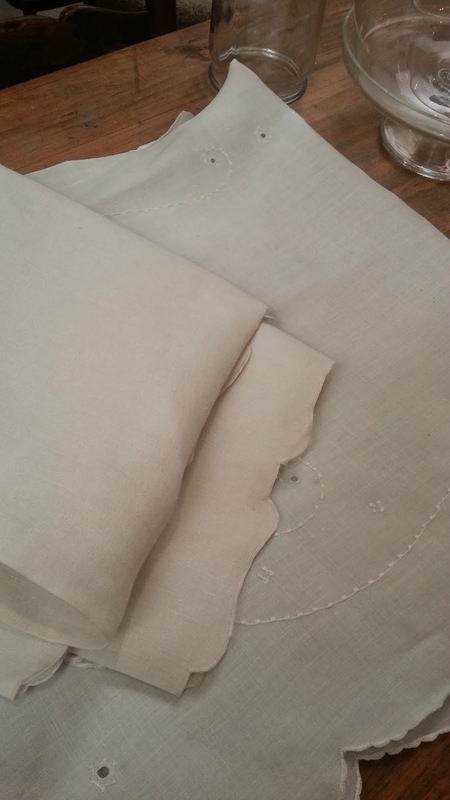 This is fun little project and I guarantee, it will help brighten these long cold days of winter. 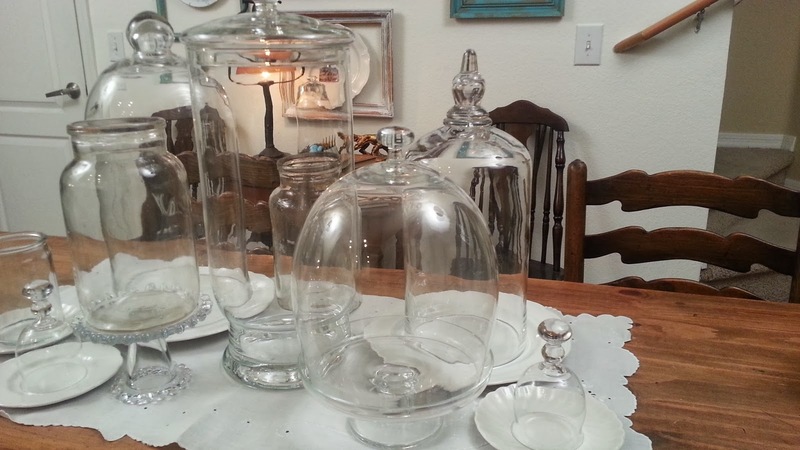 a collection of jars, cake plates and cloches, don't worry if you don't have cloches...you can repurpose candy jars or mayonnaise jars. 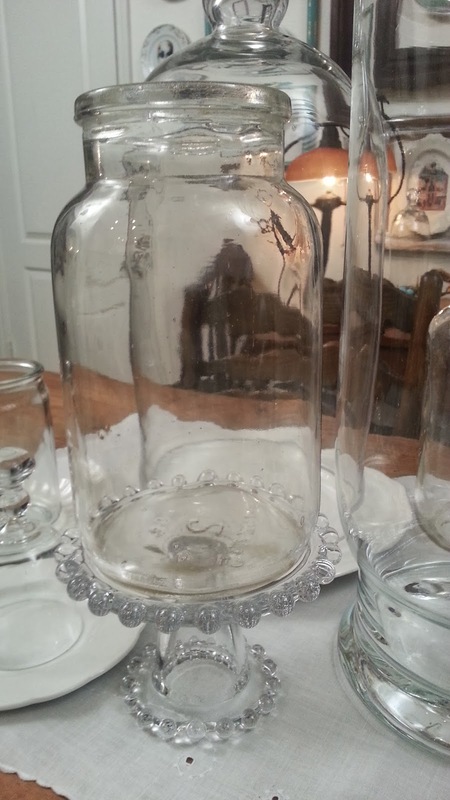 Make sure to wash them and dry them with a linen dish cloth...you'll want them to reflect as much light as possible...when the jars are sparkling clean, they will make your room seem brighter. 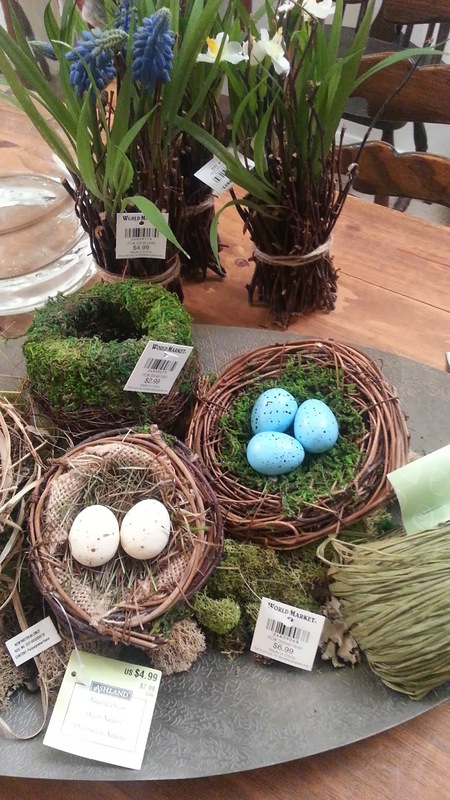 Over the winter, I've been buying little spring flowers and bird nests when I see them at the craft store. 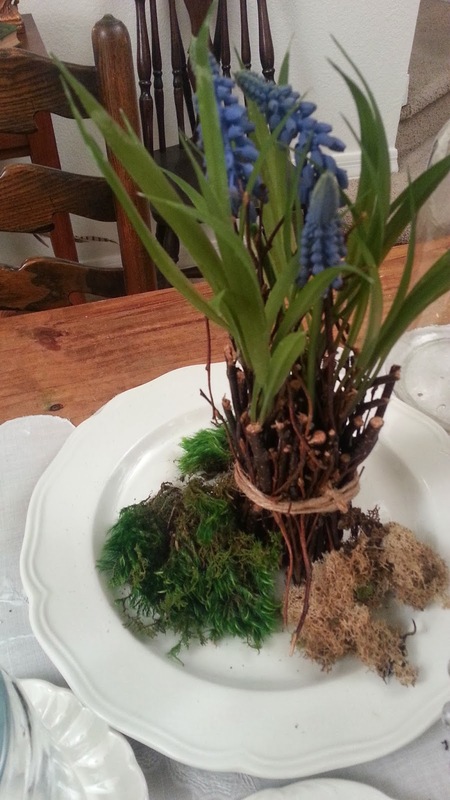 I found grape hyacinths and paper whites wrapped in twigs. I knew I'd use them for something. 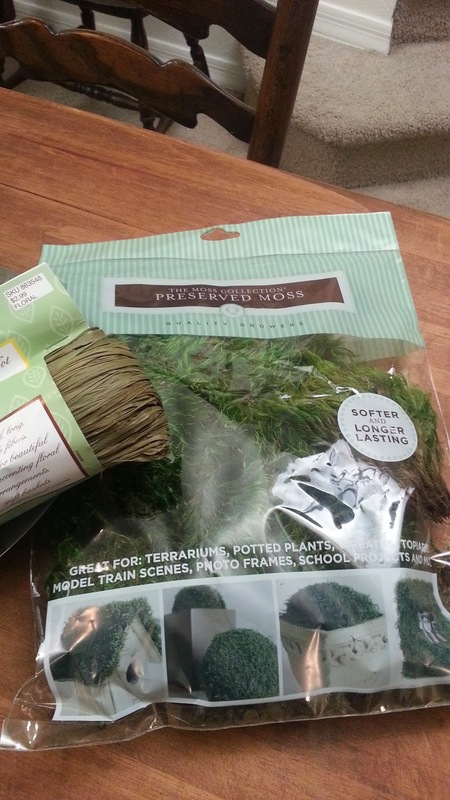 And I found a bag of sheet moss, it's green and looks like spring. 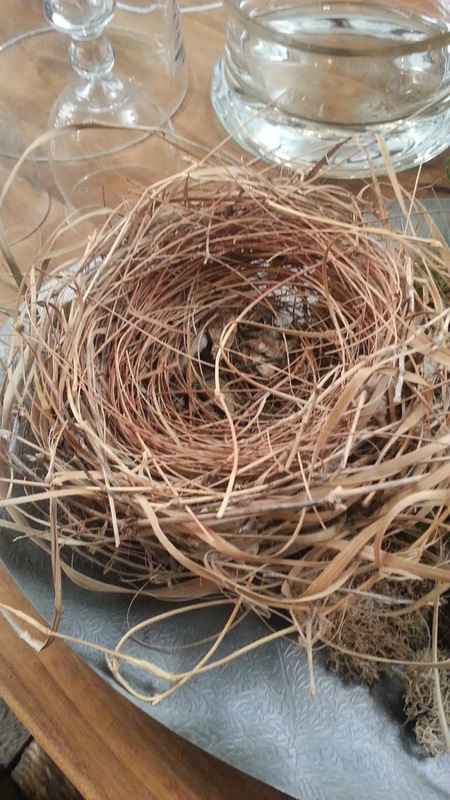 I even dragged out a nest I found in my driveway last spring, I'd been saving it for something. 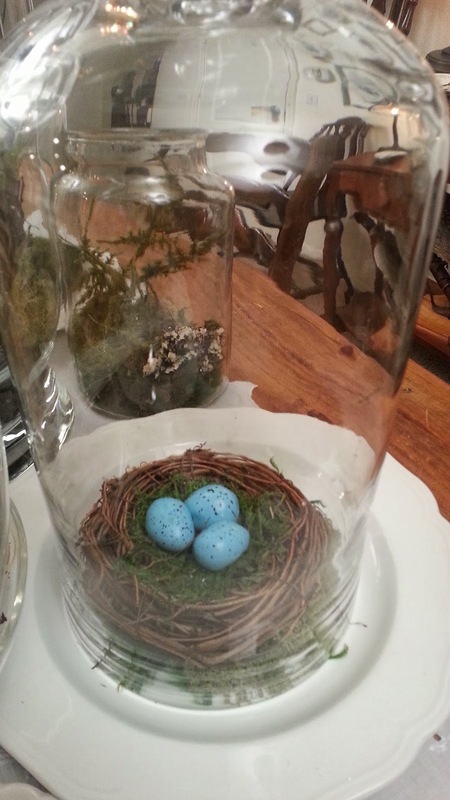 After I'd gathered all my materials, I started arranging my terrarium tablescape by placing the linen table runner on the table, then by arranging the plates and jars on the table. It looks great if you can stack a jar on a tiny glass stand. 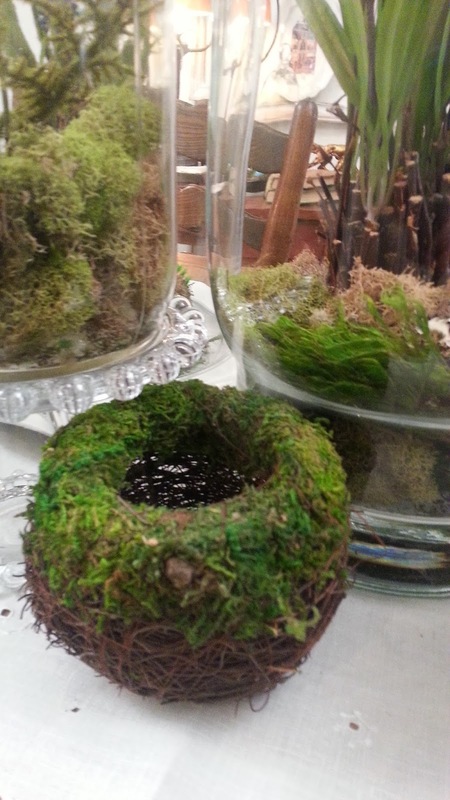 Then, it was pretty simple, I arranged my floral pieces on plates with sheet moss, and pieces of lichens, then covered them with cloches. 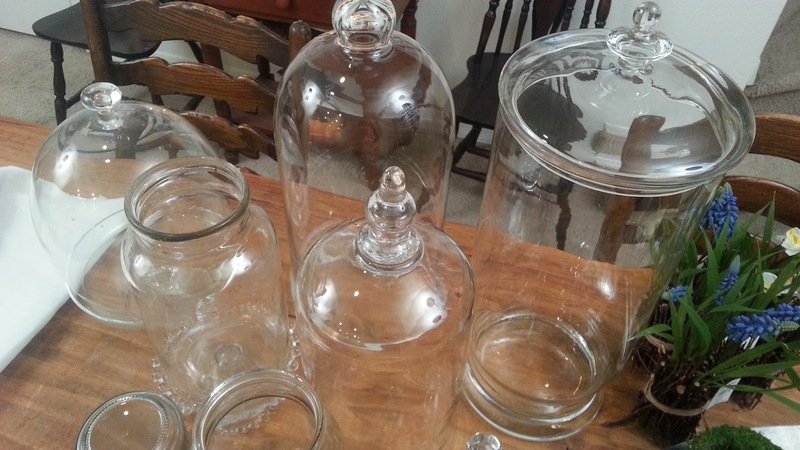 And repeated with all the jars, and cloches until I was satisfied with the arrangement. You could use live plants, I chose to use silk florals as my dining room doesn't get a lot of natural light and I think the moss and silk florals look pretty good under glass. Plus, they will be really low maintenance for me. 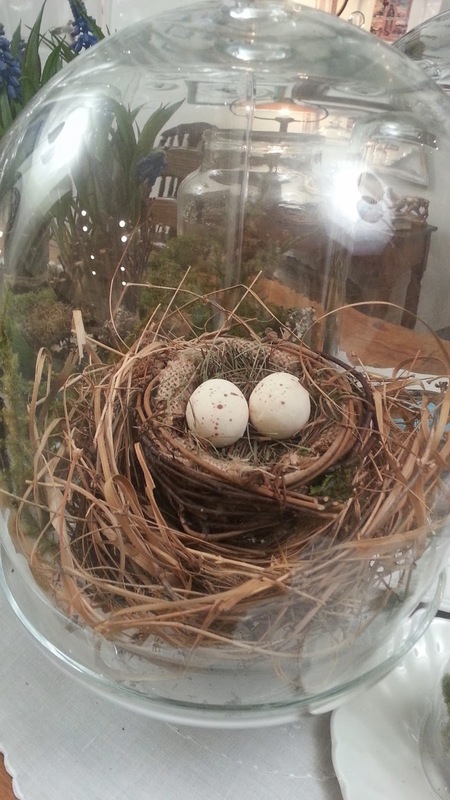 I placed a small sphagnum lined nest on the table next to the terrariums...it looks great! 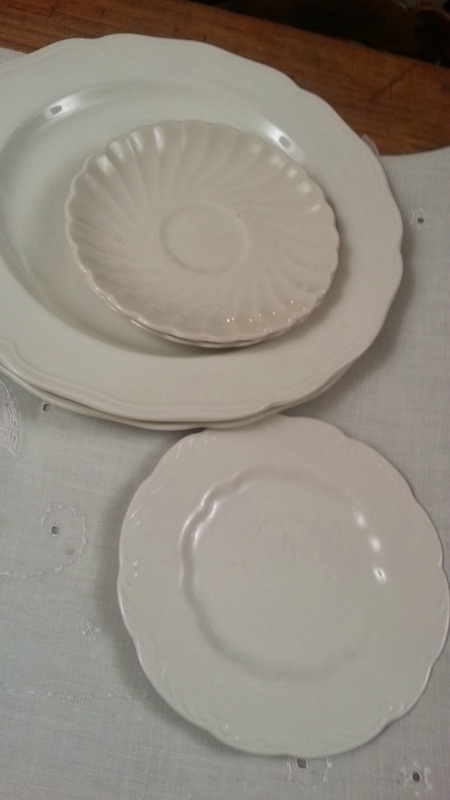 A nest with eggs under a cake plate is beautiful and makes me think of spring. 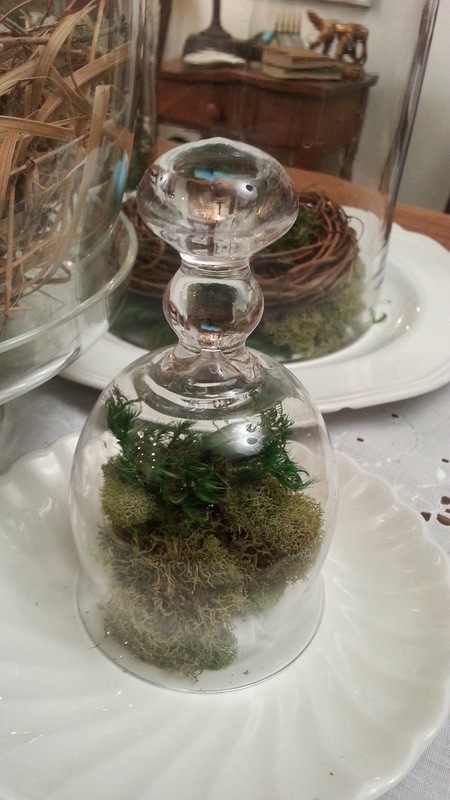 A few small pieces of lichens and moss look great under a tiny cloche and gives the illusion of a green growing plants in a terrarium. 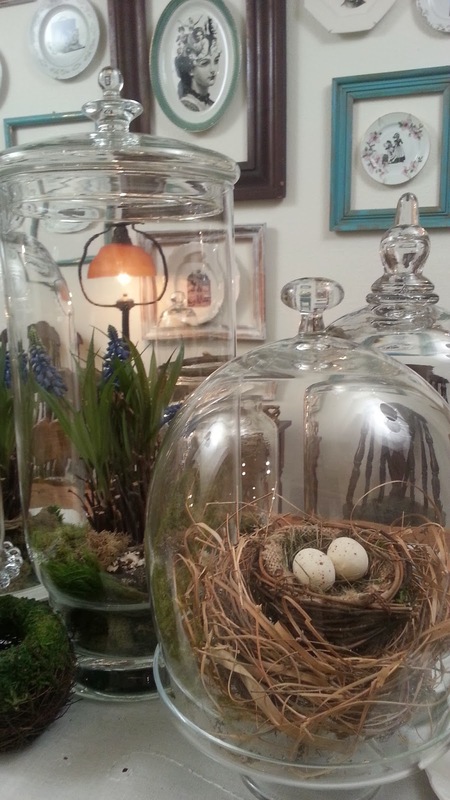 A nest of "robin's eggs" are one of the harbingers of spring and look brilliant under a cloche. 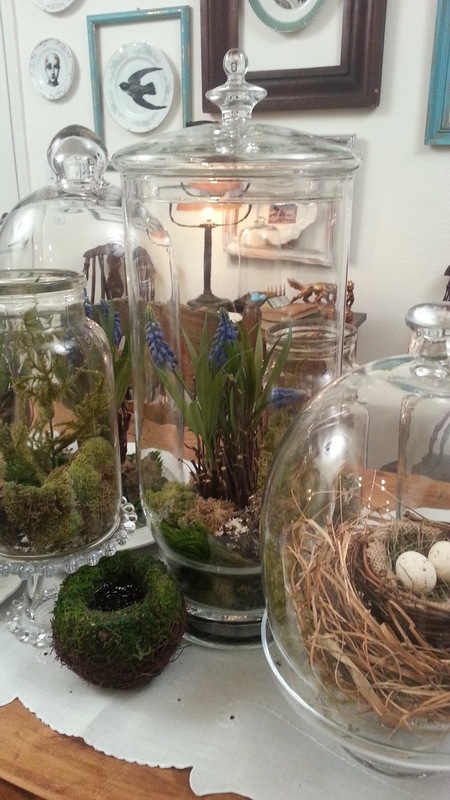 I love the effect the terrariums give in my dining room...they really help to remind me that spring is only a few weeks away, in the meantime, I have a springy looking tablescape that will brighten these long cold, snowy days of winter. Thank you for stopping by today, I hope you'll find some inspiration here to bring some spring into your home while it's still snowy outside! Very Nice ! Love the entire grouping! We have over a foot of snow & been snowing for over 24 hours solid. This is really much nicer to look at than a ton of snow! You done a Very Nice job, looks great , Mr. Artist! Ken, those are stunning ... what a fabulous project ... and speaking of spring, out here on the west coast, the robins are back ... surely spring cannot be far behind!